So sorry friends that I am posting this so late today. I guess I was so caught up in blog hops this weekend that I honestly forgot today was my next project day! LOL! And the funny thing is my project has been done for weeks! Oh well...hope you forgive me. 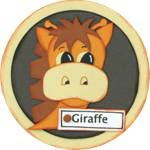 So what day is today at Ginger Snap Scraps? It's Cricut Day!! And if you know me you know I am addicted to my cricut and use it for almost every thing I create!! For today I created a card. Now not just any card, but a card that along with a few more of my cards, is being sent to a Ronald McDonald house in memory of a very special baby angel, Daniella. I created this card using some of my fav items from Ginger Snap Scraps: My Mind's Eye Lost & Found Breeze 6x6 Paper Pad, a green Copic, and 2 shades of green Bazzill. And I also used an action wobble!! So much fun to play with! And those actions wobble seriously wobble...LOL! Other items I used from my stash include buttons, cardstock, ribbon, flowers, google eyes, and brads. Oh and my little label maker! Cause it's fun too! 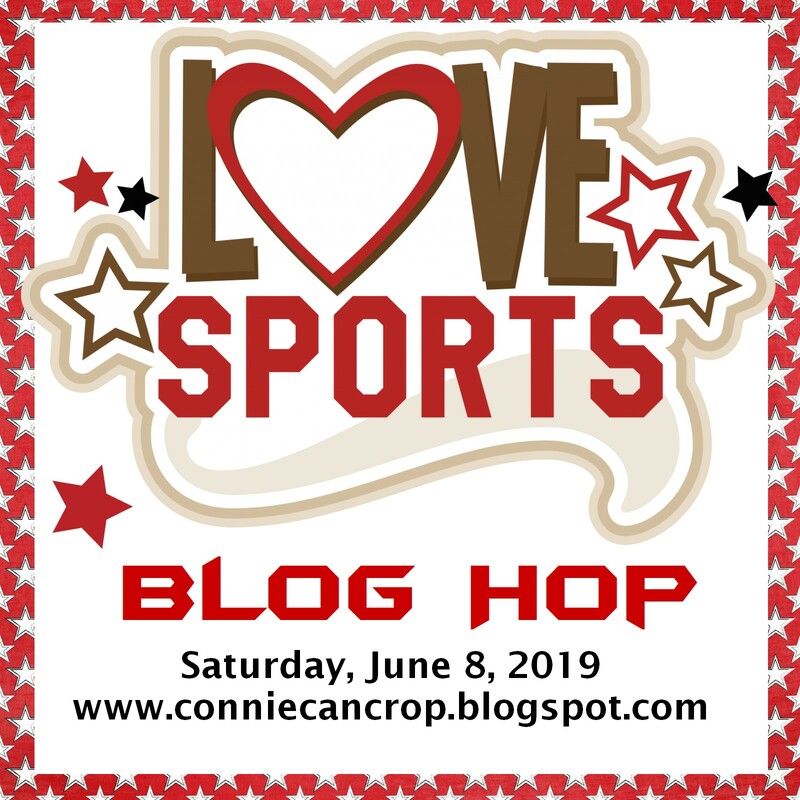 If you are here for the Creative Kuts Christmas in July blog hop please click HERE. If you missed DAY 1 of Ginger Snap Scraps' Christmas in July please click HERE. Welcome to DAY 2 of our Christmas In July Blog Hop with the Ginger Snap Scraps Design Team! This weekend we will be featuring projects all about Christmas! Can you believe how fast the year is going! We hope you enjoy all of the great work this Design Team has done and find some Christmas inspiration. If you came from Barb then you are in the right spot! Today I created a very classy Christmas Card with supplies from Ginger Snap Scraps. I used Fancy Pants Paper stack, St. Nick, along with Fancy Pants Glitter Cuts and chipboard diecuts. My favorite part is probably the Glitter Tape from American Crafts. Love that stuff!! Also used some pearls I had in my stash. This item as well as many others will be listed in my Ebay store very soon. So be on the lookout! Your next stop on the hop is Gaby! We hope you enjoy our Christmas in July Blog Hop! 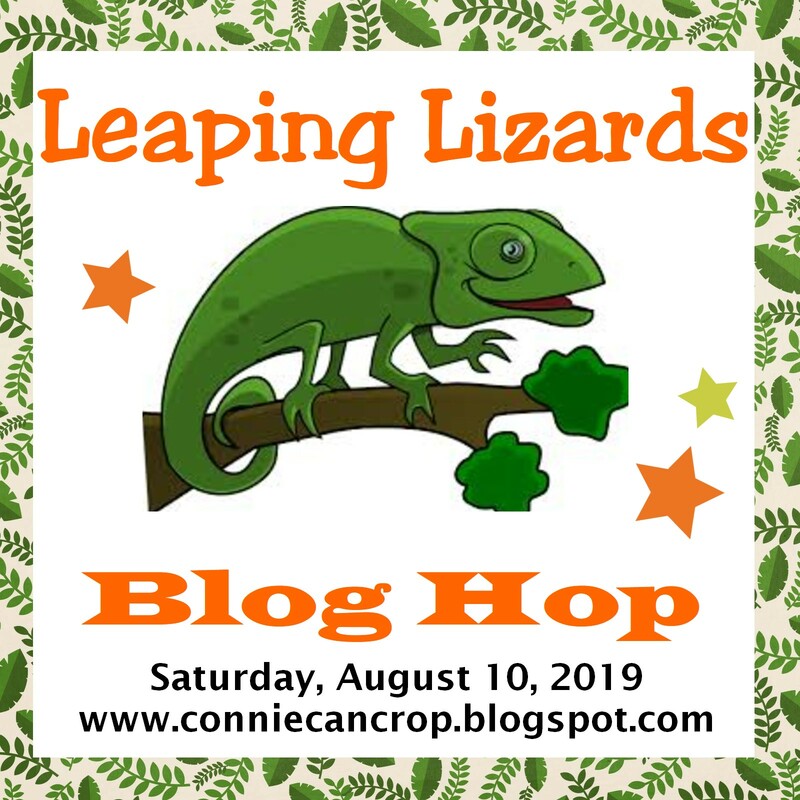 If you are here for the Ginger Snap Scraps Christmas in July Blog Hop please click HERE. 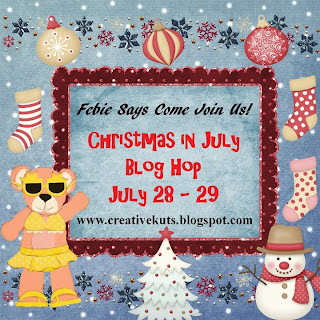 If you are here for Creative Kuts Christmas in July Blog Hop please click HERE. Welcome to our Christmas In July Blog Hop with the Ginger Snap Scraps Design Team! Today I created for you a gift idea. I make my own bath salts and decided to decorate the jar with supplies from Ginger Snap Scraps. I used Fancy Pants Paper stack, St. Nick, along with Fancy Pants Glitter Cuts. My favorite part is probably the Peacock Glitter Tape from American Crafts. Love that stuff!! Oh and my Doodlebug Designs twine comes from GSS too! The patterned paper is added to the inside of the lid. Then I added some pretty red Christmas Poinsettas I had in my stash along with the pretty teal bling. I tied some red Netting around the jar and used a small red safety pin to attach the clear snowflake to the bow. Isn't this snowflake cool? It's called a Glitter Cut from Fancy Pants. 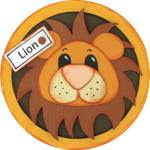 This would make an awesome gift for anyone this Christmas, especially teachers! Would you like to order one...send me a message. This item as well as many others will be listed in my Ebay stor very soon. So be on the lookout! We hope you enjoy our Christmas in July Blog Hop! Be sure to come back tomorrow to see my other project. If you came here from the Crafty Carolyn then you are in the right place. 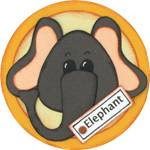 If you just happened upon my blog please start at the beginning at Creative Kuts http://creativekuts.blogspot.com/ to join in on the fun. 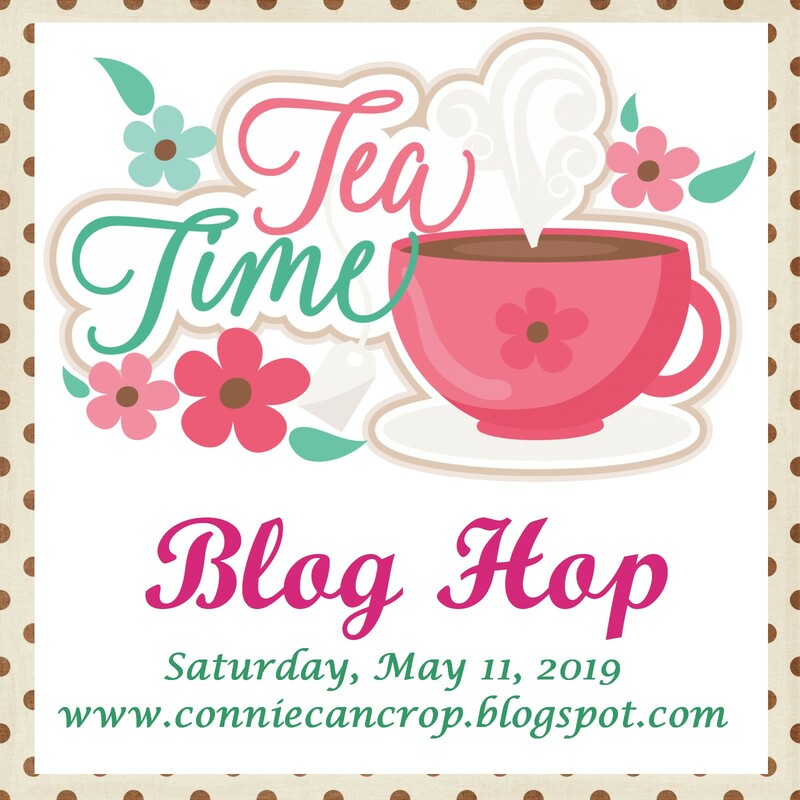 This is a two day blog hop and we appreciate you leaving a comment to encourage these talented ladies to continue sharing their ideas and creations. We're so excited to be doing this hop to introduce our new Card Team and a fabulous lineup with some very talented ladies. We also are taking this time to introduce you to our new website: Creative Kuts Monthly Kit Klub at http://www.creativekutsmkk.com/. Here we will be offering you quick layout kits which will include all the paper and paper pieces needed to create some adorable layouts. All you will have to do is add your pictures and any special touches of your own. 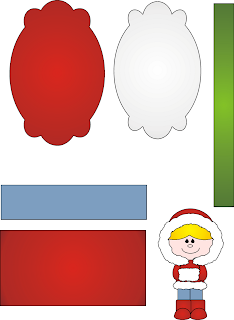 Today I created a wonderful Santa Christmas Card with the file Believe. You can purchase this file for only $3.00 at Creative Kuts. My card is 5 1/2 x 8 1/2. I used some assorted cardstock and Christmas papers I had on hand. Added some sparkle and pretty red flower and here he is. Welcome to my day at Ginger Snap Scraps to share with you some of my very favorite products carried in the store. Since it is Christmas in July I decided to create for you all a card with a matching tag. I just love how these turned out and can not wait to use them this Christmas. My card measures 6 x 6 and uses several items from Ginger Snap Scraps. Of course I used my favorite brands Fancy Pants, Twine from The Twinery and American Crafts. The Patterned Paper is from the Fancy Pants 6x6 Pad called St. Nick, as are the chipboard embellishments. I used twine from the Twinery in red. And my red sparkles, that's American Craft's Glimmer Tape. LOVE glimmer tape!! Next up is my cute matching tag. This is gonna look great on any gift under my tree. I used all the same products and embellishments. The size of my tag is 4" x 2.5" and is double sided. My pictures are somewhat dark...I wish you could see it in person! The Christmas List on the backside is perfect for your "to" and "from". Other items used from my stash include some cardstock scraps, pop dots, and a giant silk flower (which I folded in half). Did you know I am also giving away one of my favorite items? Wohoo! Just follow the instructions below to be entered to win the Twinery's Twine Pink Sorbet! Good luck!! I will choose a winner on Monday the 30th. To be 100% fair I totalled up the number of entries in order and came up with 57. Using my new Random Number Generator I was able to narrow it down to one winner!!! Is it you? So excited!! Please send me an email with your address please so I can get these goodies out to you!! And a heartfelt thank you to each and everyone of my followers. Crafting is my passion but I couldn't do it without all of your support. Your sweet faces and wonderful comments make me smile more than you will ever know! I love you all! Happy crafting and Scrappy HUGS!!! Sorry with the flash it is hard to distinquish the L but in real life it shows up just fine! Welcome to our Paper Wreaths and Home Decor Blog Hop. Thanks to Laurie, we have a fantastic group of ladies who made awesome wreaths and more to share with you. You should have come from the amazing Wandy's blog. 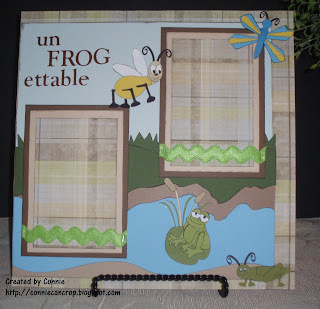 If you haven't started at the beginning be sure to do so at: http://mincedpaper.blogspot.com/ You don't want to miss Laurie's Blog candy!! So on to my project. I decided to make a wreath for my front door. I have one for the fall season but do not have any wreaths for the other 3 seasons. 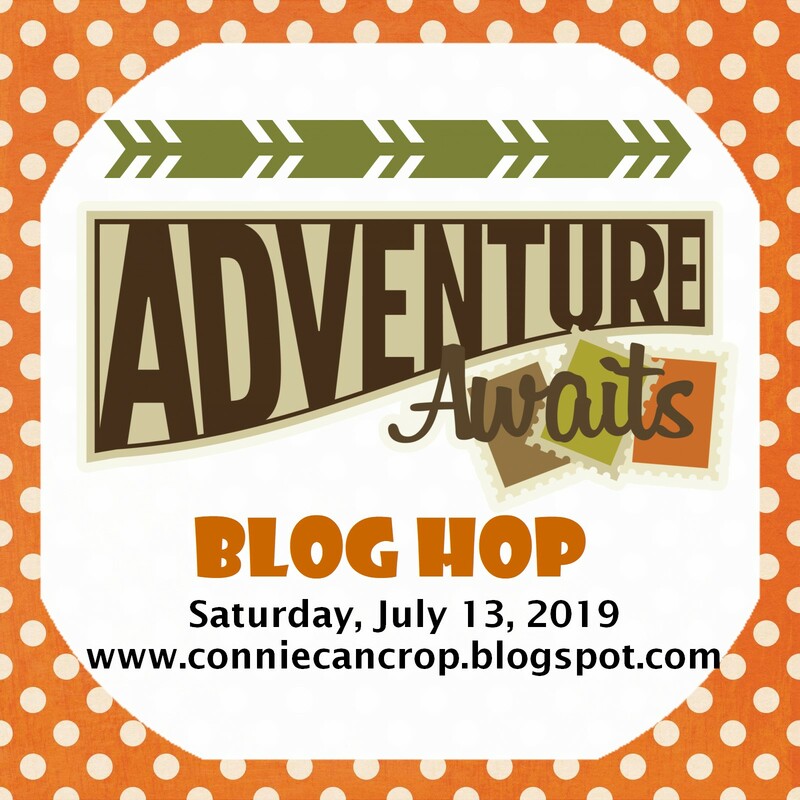 Now, thanks to this blog hop, I can say I have one for summer and fall! LOL! Thought maybe I should show you the finished project first and then show you the steps I took to create it. This wreath was made with Authentique's "Glory" 6x6 paper pad. I also used 12x12 bazzill,ribbon, chipboard, staples, modge podge, and my Cricut. First step was to cut my base from chipboard. Then I cut all my little strips of paper that I decided to use. The size I used was 1" wide by 4" long. And I created a pattern that I repeated between the cardstock and the prints. When you are ready to attach the strips to the base, you can hot glue them (glue dots won't hold), but I chose to use staples. I love the look the staples add to the wreath. I applied the paper strips by folding the paper in half so they measure 1" x 2". Then I started with the outer layer and stapled all the way around in a continuous pattern til I reached the middle. When the entire wreath was covered I added a piece of blue ribbon to the back and gave the entire wreath a once over with modge podge. Using my cricut I cut this bow with the Christmas Cartridge. I cut it twice and layered the second layer with pop dots to make it kind of pop! Using my copics I went over all the small cuts to give the bow some dimension. The ending result is a cute Patriotic Wreath that didn't cost me very much to make since I had all these supplies at home. I will be entering this wreath in the July Homespun Affair Challenge which requires you to use red white and blue. I've got that covered! I'm thinking that I should make one for Spring too! Maybe one with hearts? LOL! I hope you enjoyed my step by step instructions...now you can create your own!! To be eligible to win this prize pack from Laurie, you must follow each designer's blog as well comment on each post in the hop....everyone should have word verification turned off to make commenting easy! The winner will be announced Wed., July 25th on Laurie's Blog. Up next is the beautiful Jessica and I know she made something awesome!! Be sure to follow me and like my page on facebook! I don't want you to miss out on any of my giveaways! OMG! Thanks to all you wonderful scraptastic friends of mine...we did it! We made it to 225 and beyond! Can you tell I am jumping around screaming? Give me a few days to get everyone's entries tallied up so I can draw our winner!! Good luck!! And many Scrapping hugs!! Recollections Distress Double Clear Stamps Alphabet and Numbers. 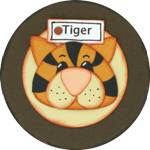 This set comes with a total of 36 stamps and is perfect for scrapbooking or card making. And perhaps my favorite part of this giveaway... Webster's Pages Designer Trim! Who wouldn't love to add this beautiful trim to their project! WOW! This stamp set is from Martha Stewart Crafts and it comes with 4 different clear bird stamps. Each stamp varies in size but they are approx. 4 x 4. They are easy to mount on an acrylic block and clean up easy too! 1. Become a follower of my blog and post in the comments. If you already follow me then post that you do. 2. Sign up for email notifications and post a seperate comment telling me you did so. 3. 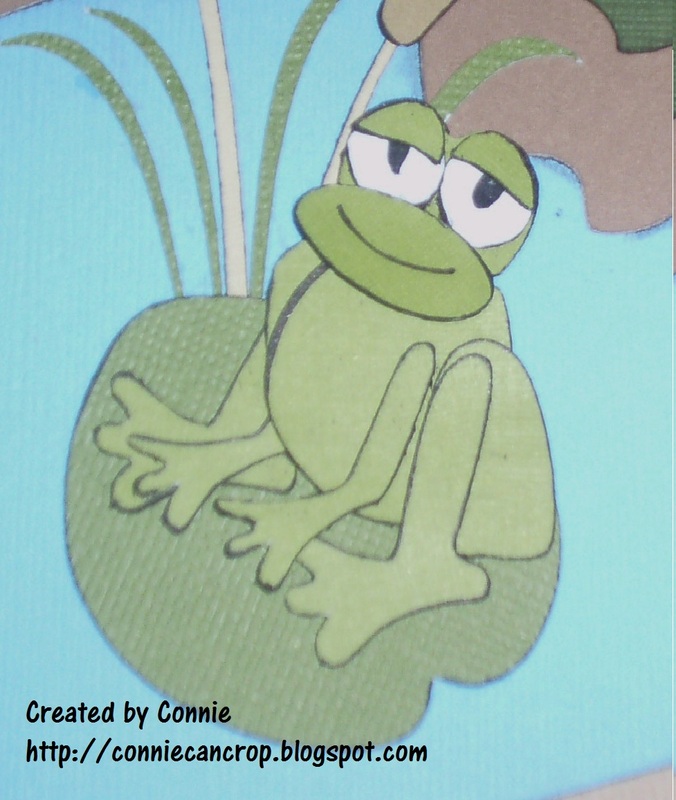 Like my Facebook Page Connie's Crafty Cart and again post a seperate comment below. 4. Invite 3 friends that do not follow me to come join in the fun and then please post a seperate comment below. Thanks for helping spread the news! HUGS and goodluck! I will draw a winner when I hit 225 followers so hurry and get all four of your entries in quick!! For this past week's BAP we were asked to use this adorable file from Creative Kuts and turn it into a card of our liking. The kicker was you had to use all the pieces. SO here is my creation!! 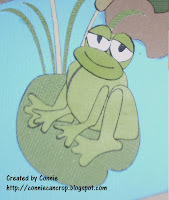 Time for another toadally awesome file from Creative Kuts. I have to admit this one was quite the challenge for me because there was so much inking on tiny little pieces. I have never made such a mess of my hands before! The CK file I chose for this week's project is such a cute file for anything outdoors, camping, fishing or even just boys. It doesn't come with a title so you can name it whatever you'd like. 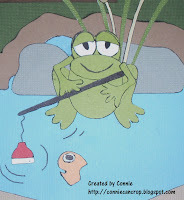 You can purchase Frog and Friends for just $8.00 at Creative Kuts. 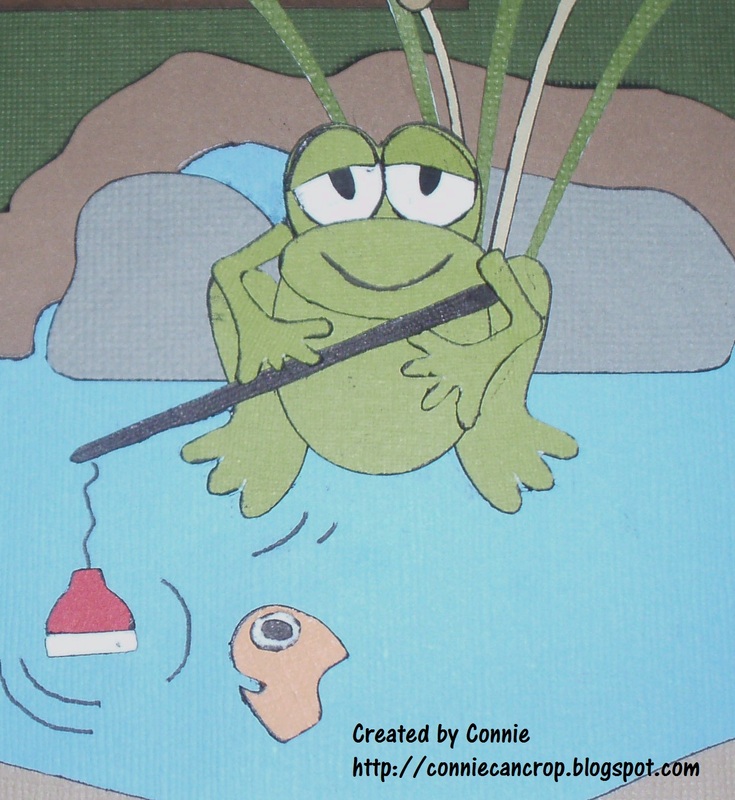 And here are a few close ups of my froggy friends!! Now I would like to mention I used stickers for my title and am not at all happy with them. So I cut out some new ones with my Cricut and will be posting an updated pic soon! This bear was cut with an SVG file from Creative Kuts. Check out their site for tons of great files!